If NASA’s latest mission to Mars has you all hepped up on the space program again, you don’t have to go farther than your smartphone or tablet to touch the sky. The agency itself has several software goodies, including the official NASA app for iOS and Android so you can keep tabs on the Mars Curiosity rover and other projects in the works. (Speaking of Curiosity, the Jet Propulsion Laboratory released a nifty new iOS app last month called Spacecraft 3D that lets you virtually check out the rover up close.) Remember, if you don’t have a smartphone or tablet, you can also find most of this stuff on the official NASA Web site. For real space heads, it’s not just about NASA, though. Just search for astronomy in your local app store, and odds are you’ll get plenty of hits (even the BlackBerry PlayBook has the $2 Stellarium app in the BlackBerry App World). For example, there’s the $3 Star Chart and the free, open-source Sky Map for Android, which had a lot of input from Google and Carnegie Mellon University. Deneb Software has a similarly named app called SkyMap for Windows Phone for less than two bucks. On the iOS side, there are plenty of astronomical options, including a pair of slick apps from Vito Technology called Star Walk (for stargazing, $3 to $5) and Solar Walk (for a 3D solar system experience and on sale right now for a buck). Many advanced astronomers favor the $7 Luminos app for iOS for views of 3D textured planet and moons in detail. Space Junk Pro is a similar app — for $5 you can track satellites, planets, stars and other stuff floating high above your head and it’s available for both iOS and Android. 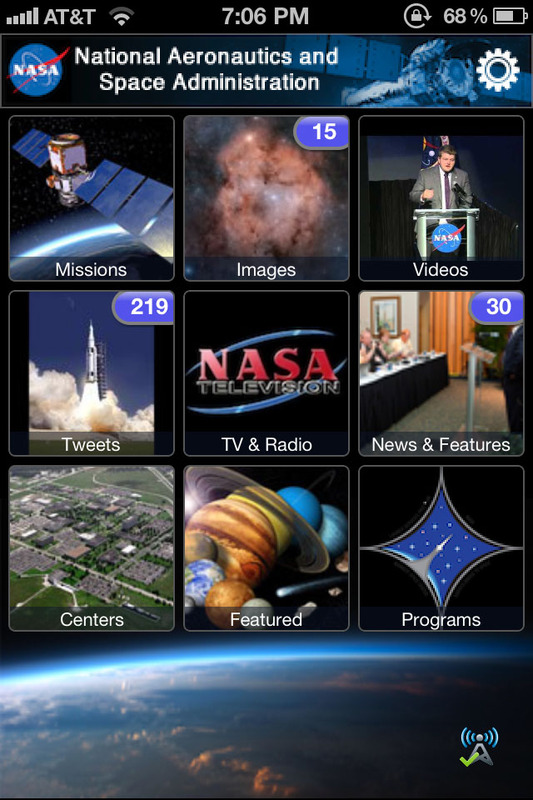 Need more astronomy apps? Check out these roundups and collections for Android, BlackBerry, iOS and Windows Phone. And while it’s not quite mapping the sky, the free Planetary app for iPad maps your music collection to a series of animated intergalactic visualizations. While the deep-space picture show may seem a little weird when listening to, say, banjo music (unless you have the right song), it really rocks the screen if you tap up a bit of Gustav Holst.